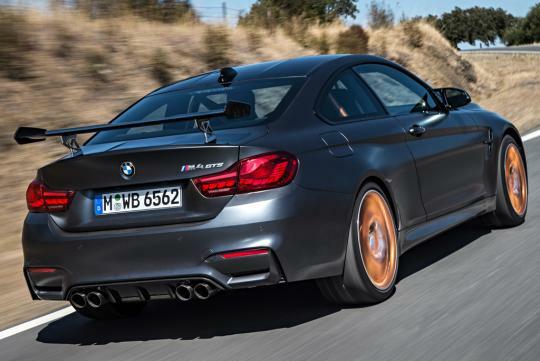 The next generation of BMW M vehicles could see the introduction of performance-focused hybrid or full-electric technology, a representative of the company has hinted this week. Speaking with Australian media at the local launch of the new 530e iPerformance plug-in hybrid (PHEV), Alexander Kotouc, head of product management for BMW GmbH, hinted that the worlds of both the performance-oriented ‘M‘ and future-focused ‘i‘ brands could one day merge. BMW has already delved into the electrified performance domain with the plug-in hybrid i8 sports car (above), which teams a 170kW/320Nm 1.5-litre three-cylinder turbo petrol engine with a 96kW/250Nm electric motor to deliver combined outputs of 266kW and 570Nm. With that futuristic grunt, the i8 is capable of sprinting from 0-100km/h in 4.4 seconds, while using just 2.1L/100km claimed on the combined cycle. Additionally, the company’s iPerformance models are more than capable of hot-hatch-beating straight-line acceleration, so the thought of a hybrid M car doesn’t seem like such a far-fetched idea. Kotouc added that, regardless of the powertrain, the company’s upcoming vehicles will always stay true to its ‘Ultimate Driving Machine’ heritage. “I promise you one thing, BMW will bring [EVs] that have equal kind of acceleration that makes it a BMW, and you can take it through corners on a racetrack and it will behave like a BMW,” he said.